Photo taken early last month. The Church facade is wonderful!Beautiful sunny day there! Pretty. Looks like lots of people were out enjoying the last bit of summer. 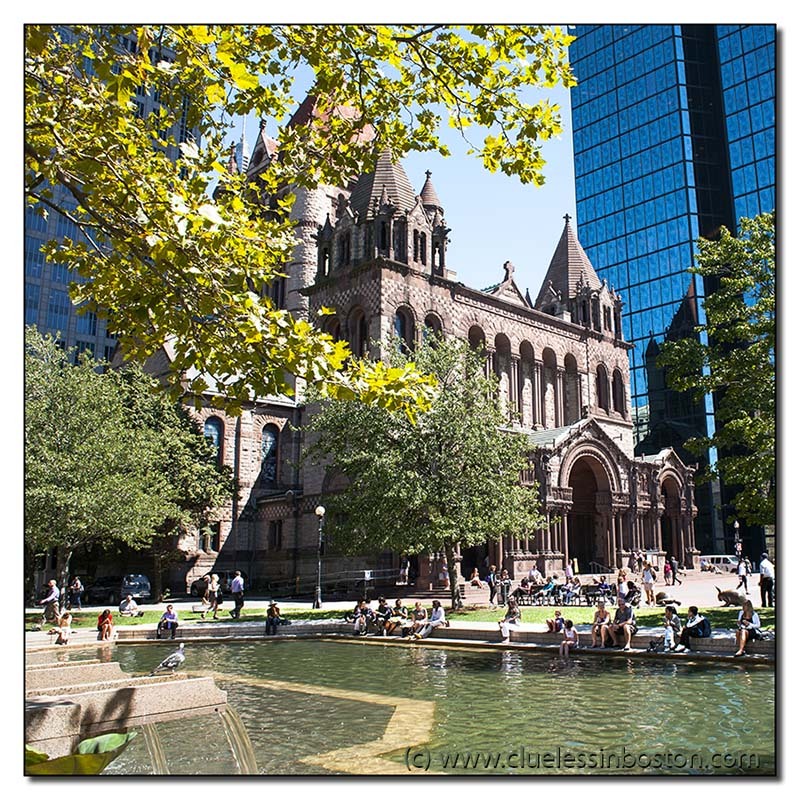 We stayed at a hotel near Copley Square, and I think this church was nearby. I could be mistaken, but it looks familiar. Another nice composition. I love the church.